A daily trip to the mailbox to collect bills is something everyone experiences. 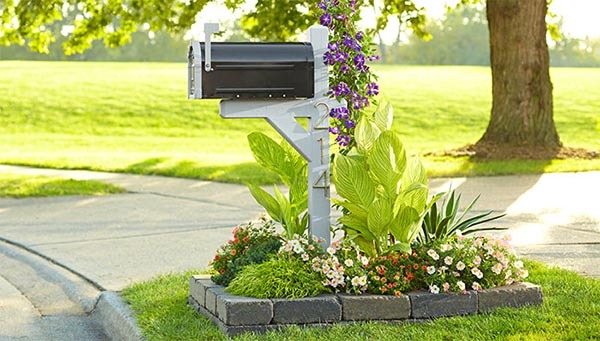 Instead of the boring trek, why don’t you give your mailbox a little makeover and turn it into the most desirable destination in your landscape? Don’t you believe me? 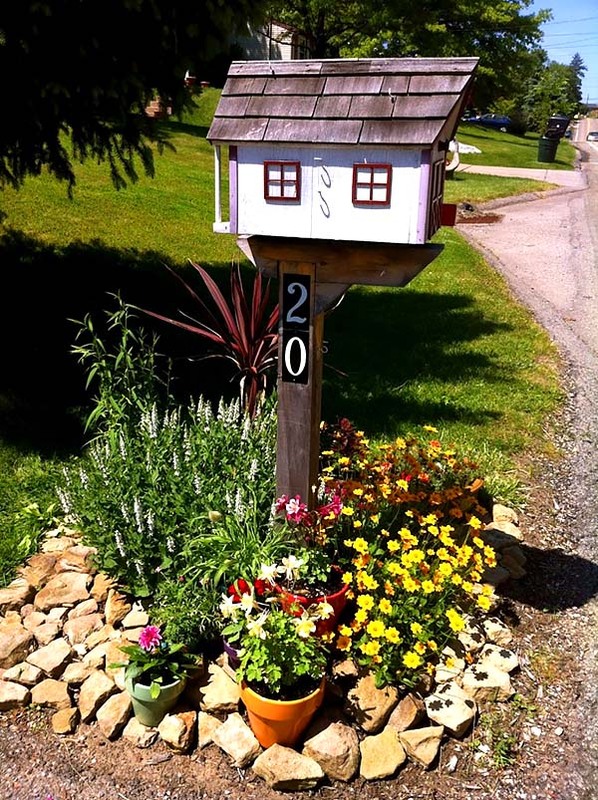 Have a look at those 24 charming flower beds around the mailbox and they will change your opinion forever. 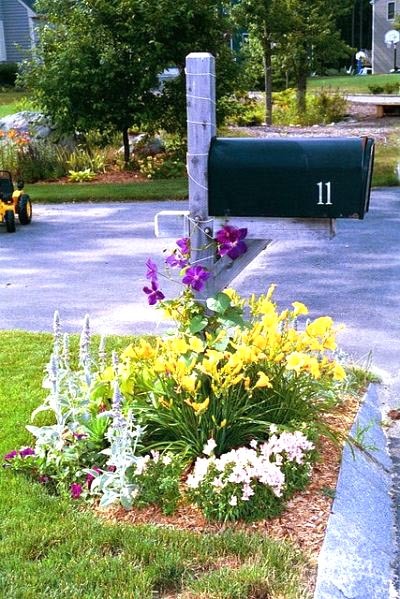 This mailbox landscaping is a mixture of perennials and annuals that bring a lovely cottage-style vibe. This bed has been planted with Stachys byzantina (knows as Lamb’s-ears), along with golden color Daylily, Wishbone flower (Torenia), Petunias and Calibrachoa. A purple Leather flower (also called Clematis) climbs the mailbox post. 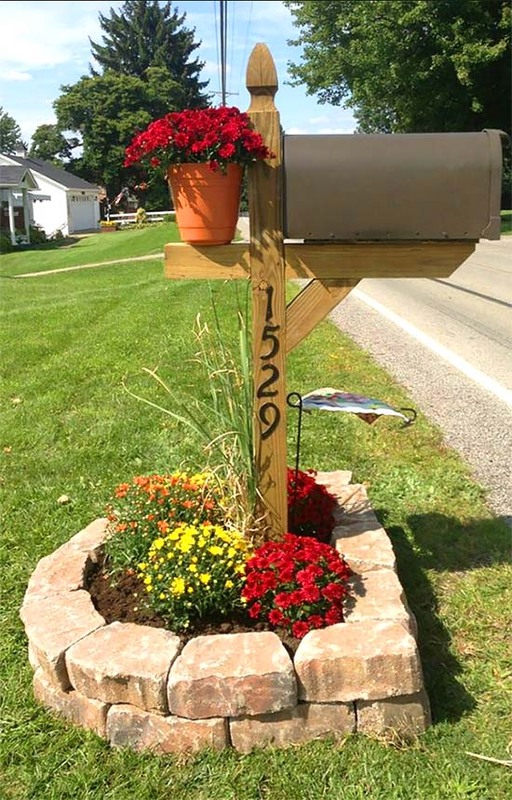 Here is one of my favorite flower bed ideas around a mailbox. Similar to the first one, this one also has climbing deep purple clematis. 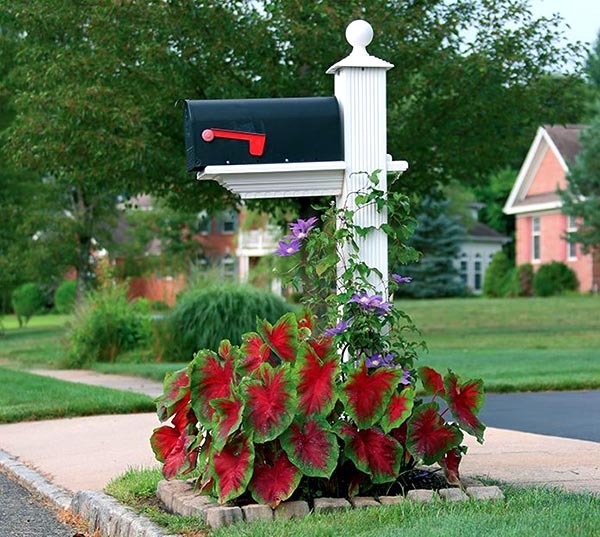 The red color of the Caladiums, on the other hand, creates an eye-catching contrast. The biggest advantage of this landscaping bed is the fact it’s very easy to be maintained. This pink Mandevilla (so-called Rocktrumpet) is a tropical flower that needs lots of direct sunlight. 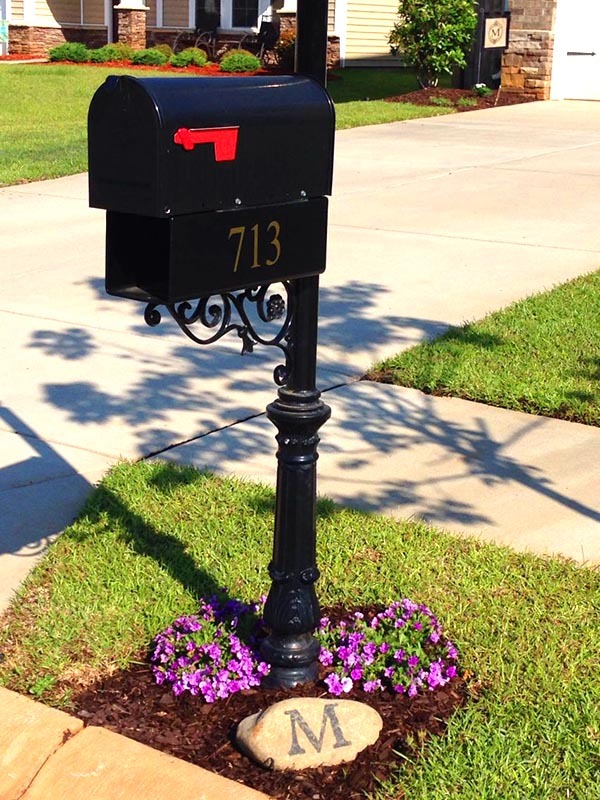 As a result, if you decide to use it around your mailbox box – make sure there are no trees around. I just love the vintage feel it brings to the landscaping. 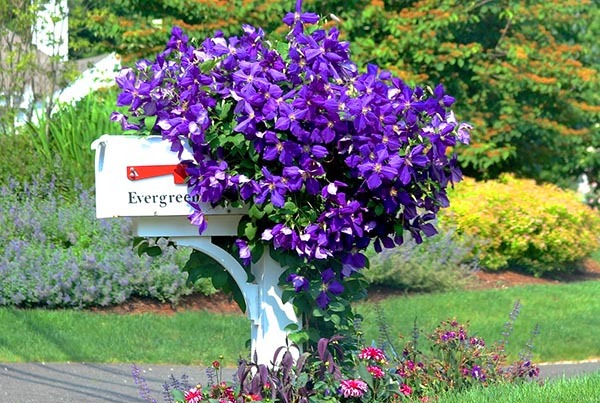 Seems like the purple Clematis is one of the most preferred and best mailbox flowers. It comes with lots of names around the world such as vase vine, traveler’s joy, old man’s beard, leather flower, and many more. 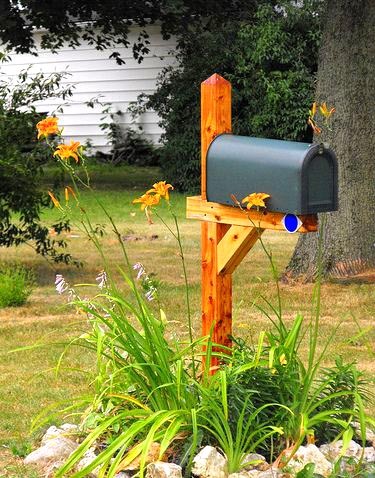 This is a great option for those of you who want to build a tiny mailbox garden for their countryside home. The combination of greenery, the stones, and the wooden post gives an unpretentious look to the overall landscaping. I know many gardeners aim to create magic in their garden on a budget. 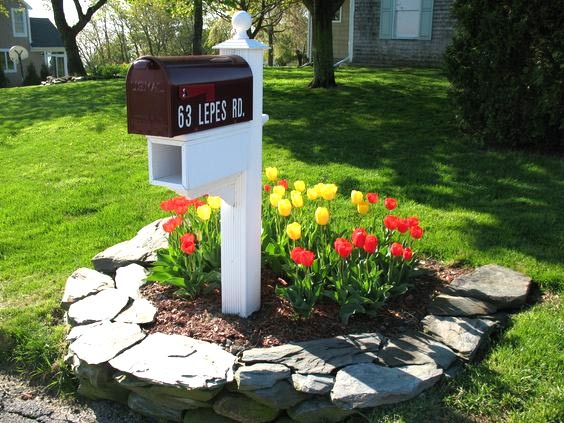 I love this easy flower bed around the mailbox planted with yellow and red Tulips. It is a bit raised and surrounded by flat stones which adds an additional charm. This flower bed is more spacious than the ones I’ve already shown you. It reminds me of a minor version of a backyard garden. Most of the plants are pint-size perennials for shade. You can freely use Ivory Hearts, Astilbes, Petunias, and many more. Keeping the garden nice and tidy is a time-consuming activity for the full-time working people. This is why you should plan well. 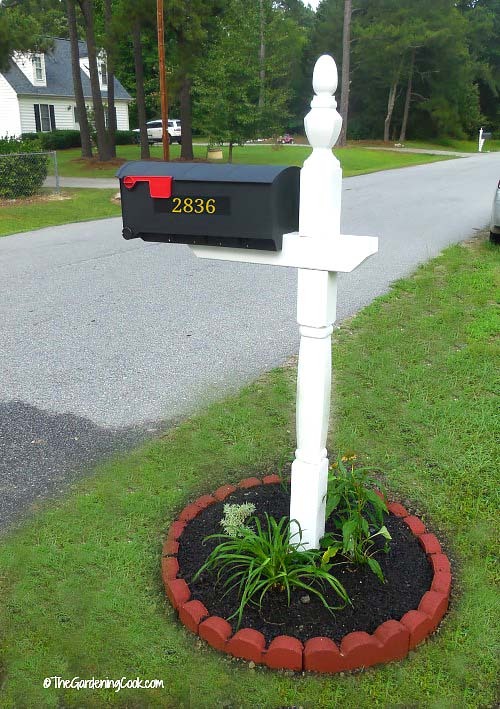 For instance, here is one of the easiest to maintain flower beds around mailboxes. The variegated Liriope, dusty miller, and darker grass are herbaceous perennials that don’t need constant care. But they are looking fresh and stunning all the time. The black color of the mailbox and the post perfectly contrasts with the purple petunias. The letter written on the stone adds personalization to the design. 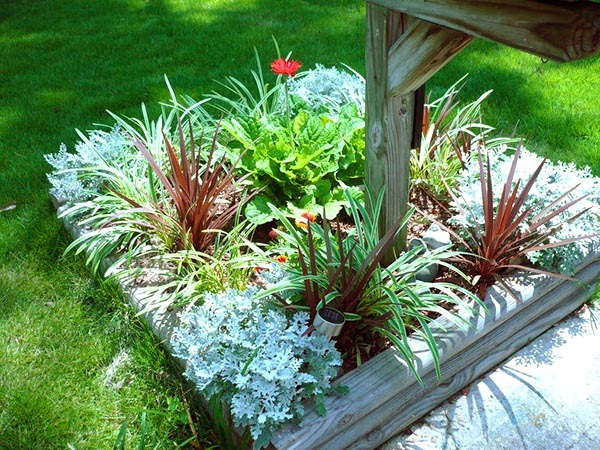 In overall, this is a very simple flower bed idea but it is still (much) better than nothing! Does this design remind you of a little house in the prairie? It really does to me. I also love that there is a wooden construction and the mailbox is not standing there alone, as usual. The choice of flowers is very simple and stylish at the same time. I guess every DIYer would be keen on building it himself. 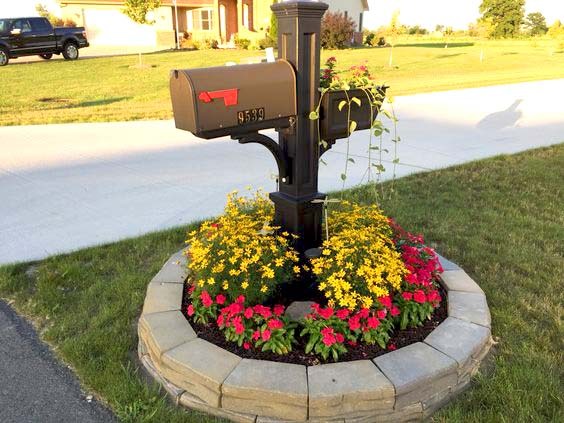 When you decide to create a flower bed around your mailbox, keep in mind that is always better to use natural materials such as stones and wood. They will make it look unpretentious, more welcoming and the bed would fit easier the overall landscaping. While you are creating a bed around the mailbox, choosing flowers and plants that pair well with the rest of your garden is an essential thing to consider. That will bring a sense of togetherness and intimacy. Also, try to add some texture by creating layers with the plants. 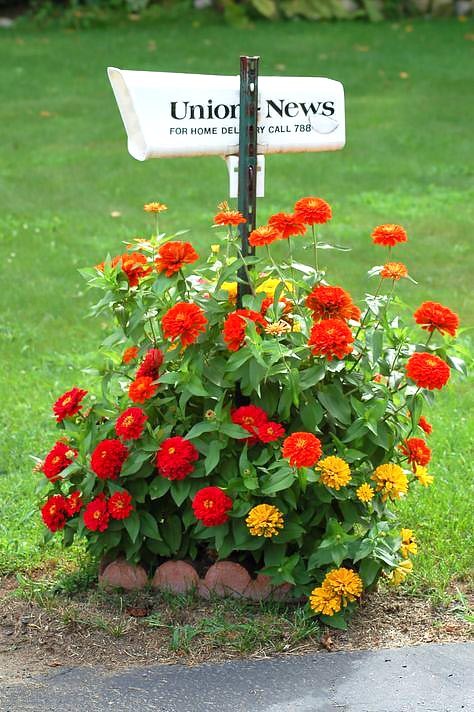 This basic but eye-catching flower bed is planted with colorful Zinnia flowers. They are annuals that are very easy to plant as they are quick-growers and bloom heavily. Plus, they come in lots of different colors so you can choose the ones that are most suitable for your own landscaping. 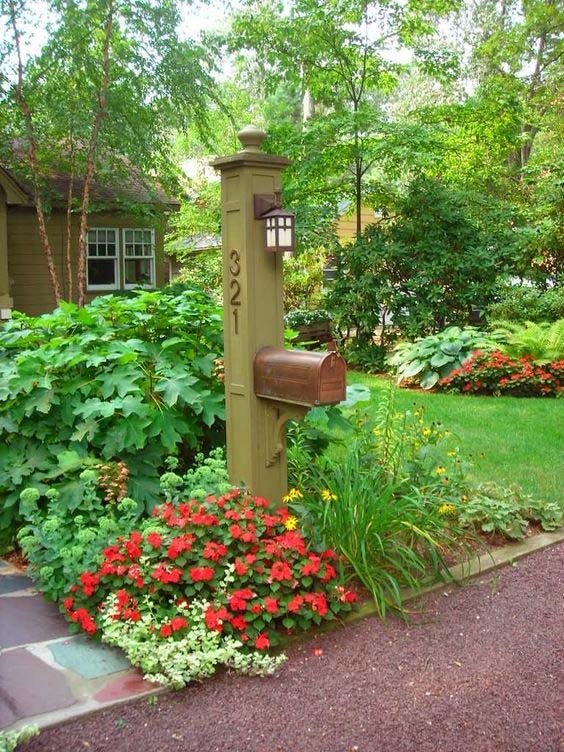 I bet every handy gardener or DIY-er would love to transform the old rusty mailbox into something beautiful. 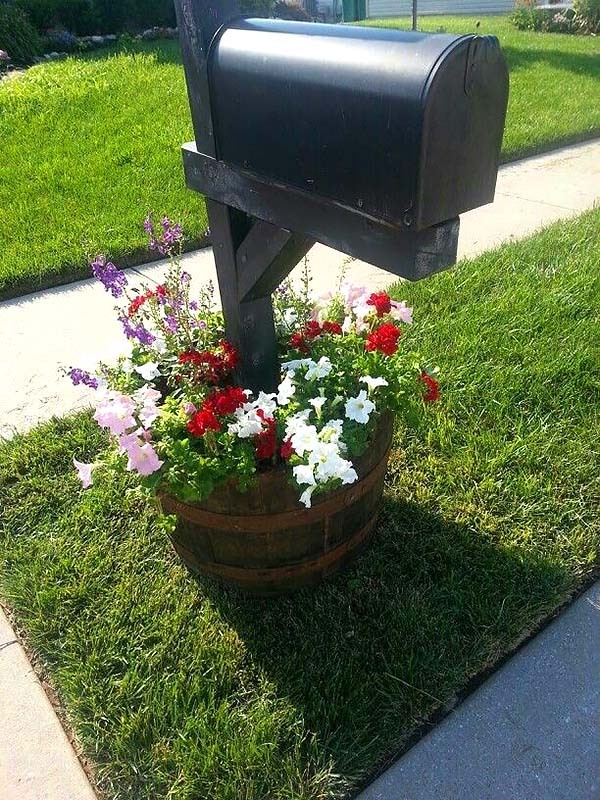 Here is a thing – why don’t use an old wine keg and plant it with radiant petunias? Trust me, the result will leave you speechless. When I first saw this design, It did bring me a sense of harmonious and beautiful proportion and balance. The stones, the flowers – everything is in the right place, isn’t it? 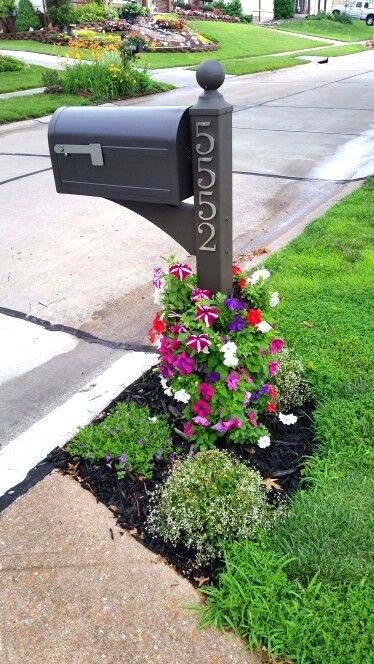 I’ve shown you several pictures of mailbox flower bed designs with petunias but this is the first one with the climbing version. 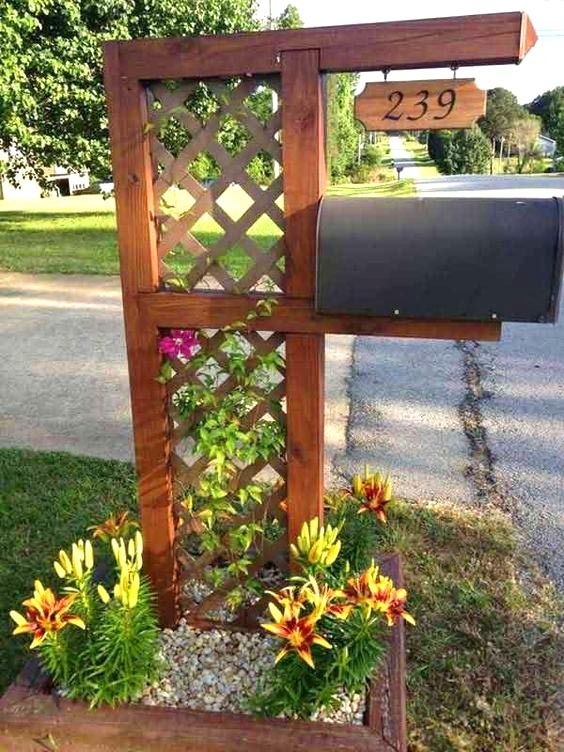 It is basically a mailbox flower tower. A grooved pipe around the post has been used for protection from the soil. This is definitely one of my favorite flower beds around the mailbox. The box itself is house-shaped which makes it unique. My advice is to give freedom to use your imagination and experiment with the lower part. 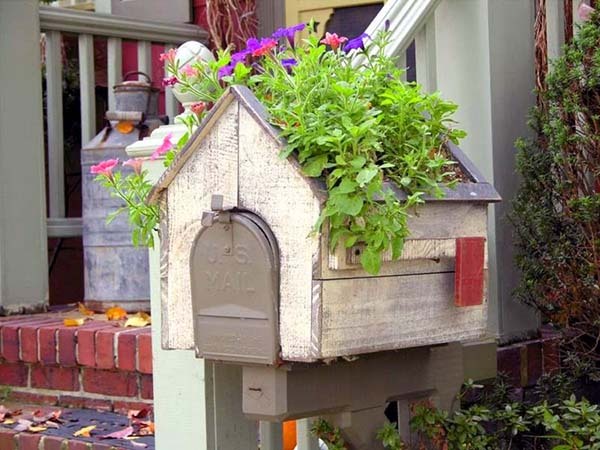 I wanted to share with you this original idea of an old mailbox in the shape of a birdhouse with a green roof (planted with petunias). Some of you may find it similar to the Icelandic turf houses. 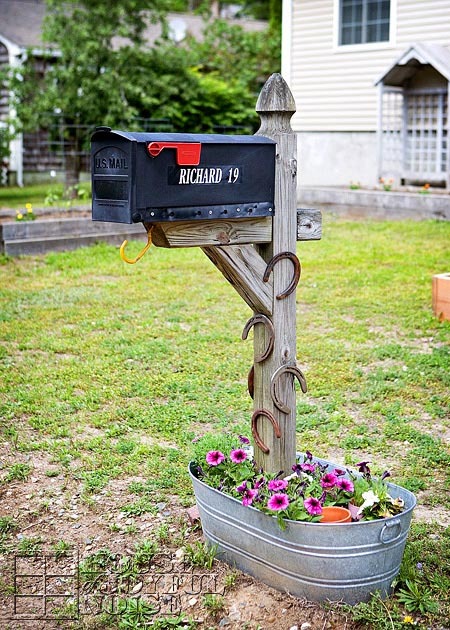 Here is an idea how to make a little makeover of the old mailbox design by the hanging horseshoes all over the post. The horseshoe is still one of the most popular good luck symbols in the Western world. 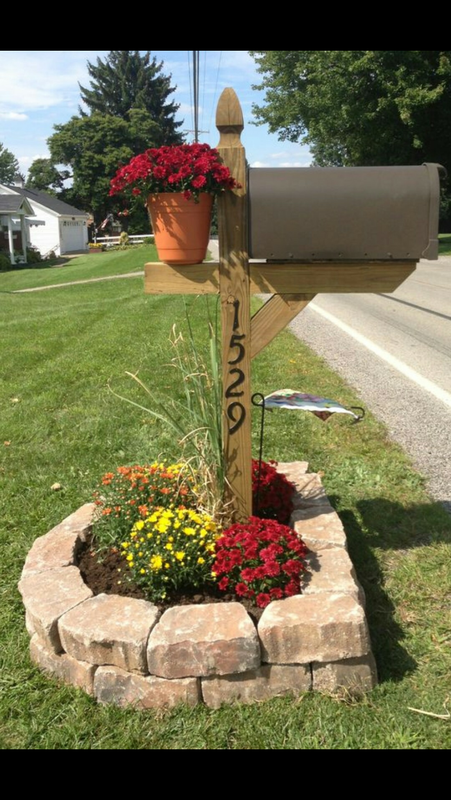 This vintage mailbox is almost hidden in the plants. To have the same result, make sure you choose flowers and shrubs with different height. 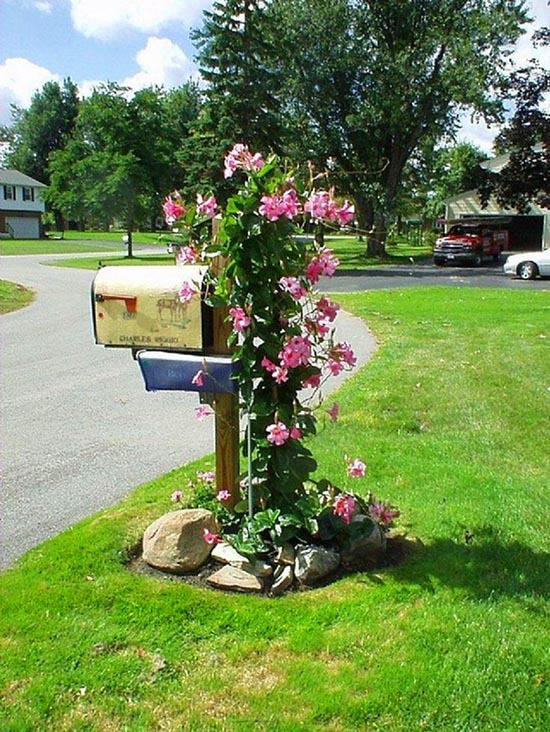 In this way, you’ll add texture to the mailbox landscaping. Moreover, the box itself will pair better with the rest. 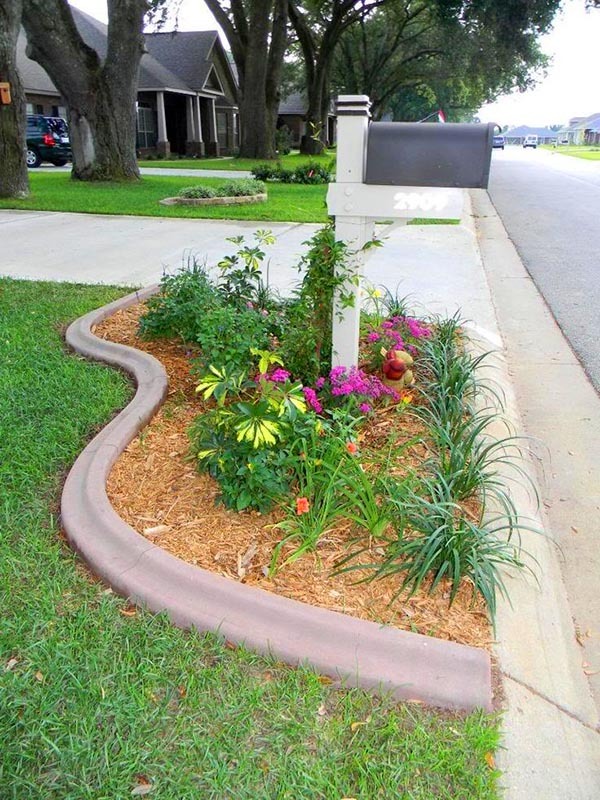 The reason why I’ve decided to share this mailbox landscaping design idea with you is the unusual shape of the mailbox itself. To be honest, it will take a bit more time to create it with bricks and to organize the greenery but the stunning result is the one that would motivate us to finish the design. Plants you can use Miniature rose, Lavender, and Hosta. I’d advise the gardeners who don’t have much free time to take care of the garden to plant Zinnia – very undemanding annual flower which, in fact, is always trendy. 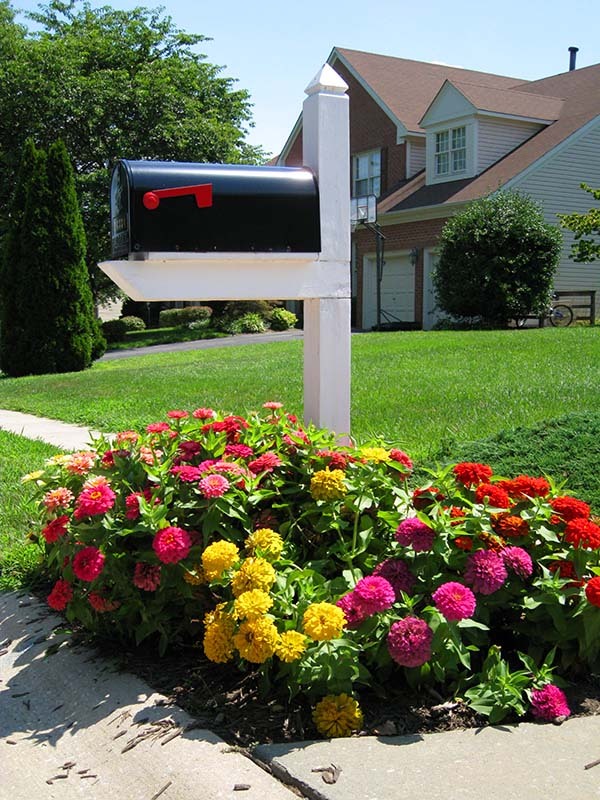 Plus, it will make the mailbox landscaping looks more cheerful and welcoming for guests. As I said, the mailbox doesn’t need to be the standard boring type. 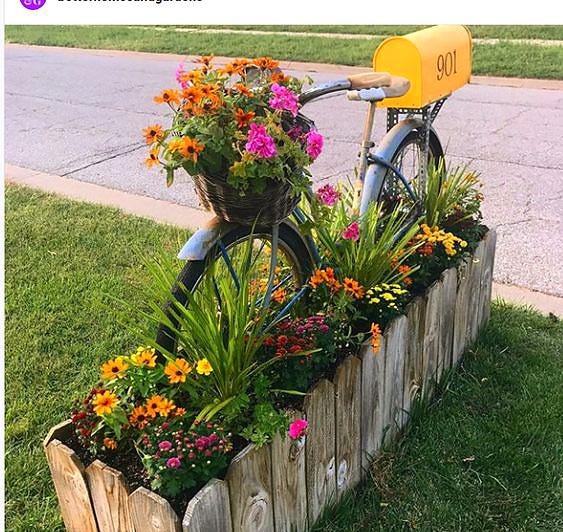 For instance, if you have an old bike frame that you don’t use anymore, you can easily transform it into a mailbox flower planter. You can place a square type of box on the bike stand and spray the bike frame in red. 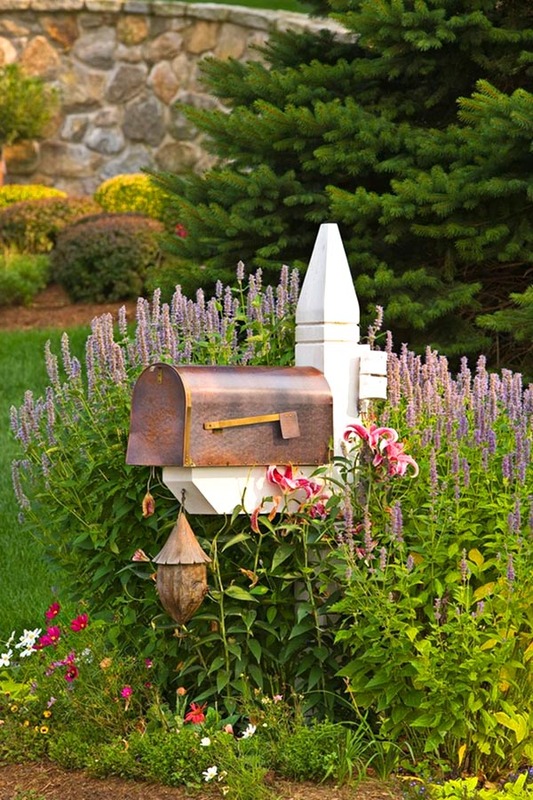 The right flowers can elevate your mailbox landscaping by bringing a great deal of visual appeal to the overall design. 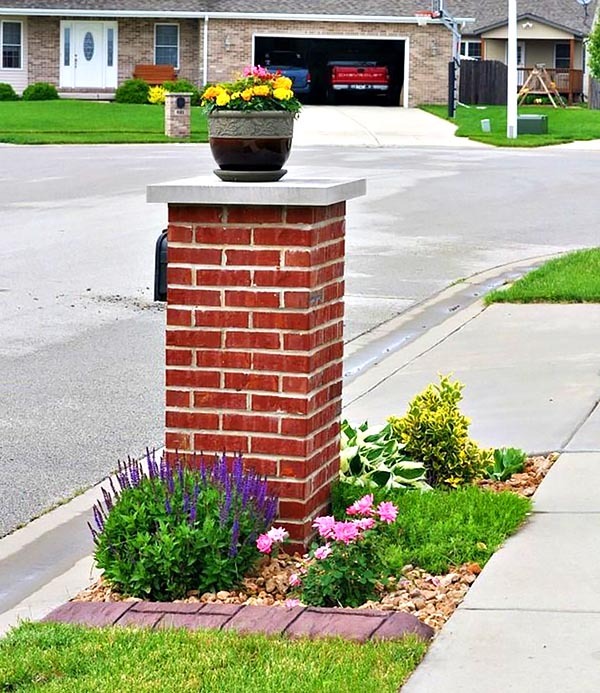 Also, adding a splash of color may be the perfect way to make the front yard stand out.